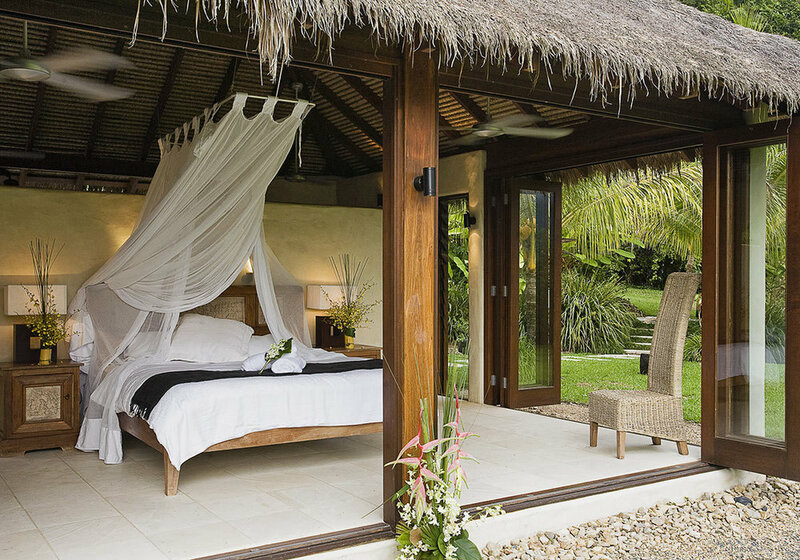 This luxury escape is nestled within a lush rainforest valley and comprises of 3 guest suites & main living pavilion. Natural hardwood timbers have been featured throughout this residence within the raking ceilings and heavy posts. Adobe rendered walls and stone floors impart the tropical resort feel that all comes together perfectly with the landscaped gardens and wet edge pool.